Fade Street Social in Dublin was the venue this evening for the announcement of the full line-up of Food On The Edge 2016, the acclaimed international food symposium taking place this October 23rd and 24th in Galway. 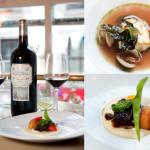 Some of Ireland’s best food talent was in attendance, including chefs Kevin Thornton, Ross Lewis, Graham Neville, Dylan McGrath and Wade Murphy, as well as Irish media personalities, including Katherine Thomas, who attended with her partner restaurateur Padraig McLoughlin, and food media. Speaking at the event, Symposium Director, JP McMahon said, “ I am delighted to announce the lineup for the second year of Food on the Edge 2016. The event is not about elitism, it’s about inviting chefs from all over the world who I feel have something to say, be that 3 star Michelin stars or chefs running street food trucks! We have a stellar line-up up chefs this year including chef owner of the world’s best restaurant, Massimo Bottura, Peruvian chef Virgilio Martinez and a number of return speakers from last year”. Una Fitzgibbon, Marketing Director of Bord Bia said “Food on the Edge is more than just an event, it’s a philosophy. Galway is the right place to hold it, having just been announced European Region of Gastronomy for 2018. Ireland’s food stands for everything that is pure, clean and fresh – 5,000 years of farming and continued sustainability across our food producers, manufacturers and food companies. We are very proud to be sponsors again of Food on the Edge and wish JP and his team continued success”. 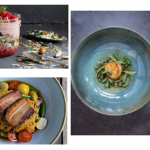 Wade Murphy, chef and owner of 1826 restaurant in Adare said “With Food on the Edge, something magical happened – chefs, producers and food experts came together in a monsoon of inspiration. For me, speaking at Food on the Edge was the highlight of my career”. 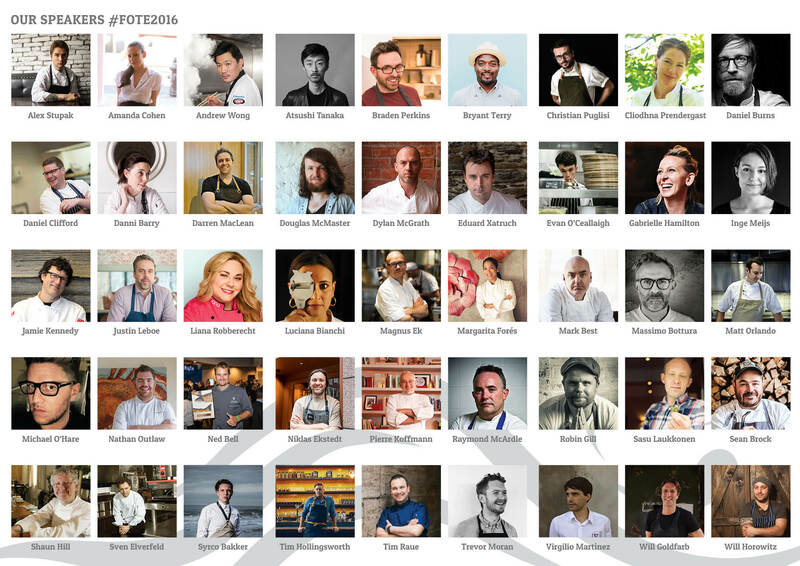 A roll call of more than 40 of the world’s leading chefs is now confirmed to speak on the future of food in Galway this October at Food On The Edge 2016. 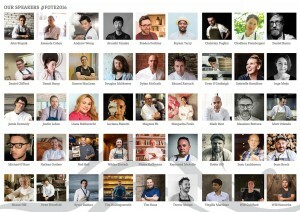 A snapshot of the calibre of international chefs confirmed to attend includes Massimo Bottura of Osteria Francescana a three Michelin-star restaurant in Modena, Italy, which has been listed in the top 5 at the World’s 50 Best Restaurant Awards since 2010 and was ranked 1st in World’s Best Restaurant at the S.Pellegrino World’s 50 Best Restaurants Awards 2016. Daniel Burns of Luksus is currently one of the hottest chefs in New York City. His resumé reads like a shortlist of the world’s finest eateries. After working at Heston Blumenthal’s The Fat Duck in the UK, Daniel spent three years running the pastry department at Noma, before moving to New York in 2010. American chef Timothy Hollingsworth, formerly of The French Laundry in Napa Valley, recently opened Otium in Los Angeles. The legendary French-born Pierre Koffman will also attend Food on the Edge this year, currently the head chef of Koffmann’s at the Berkeley Hotel in Knightsbridge, London, is one of a handful of UK-based chefs to have been awarded the coveted three Michelin stars for his former London restaurant La Tante Claire. Food served at the event was fitting for the nation’s food royalty. Dylan McGrath compiled a menu of fresh sushi, and tapas-style dishes plus mouth-size mouth-watering treats. Food On The Edge team who delivered the event were JP McMahon Symposium Director; Drigin Gaffey, Event Coordinator, Olivia Collins (Food PR) Communications Manager ; Ruth Hegarty, (Egg&Chicken Food Projects) Sponsorship Manager and Edel McMahon, Events Administrator and Graphic Design.